I had visited Lucky Chip at The Sebright Arms pub around the time the BurgerAddict was born and was keen to try them again with my developed palate(it's not). They have taken up residency for some time now here and have regular specials that cater to a variety of taste buds. Their slider bar has also just finally opened in Soho to rave reviews but today I was going to where I believe it all started at Netil Market. Travelling from Essex was a train, walk, 254 bus and a short walk but my excitement just built along the way. With only 1 person in front of me in the queue (is 1 person a queue?) I was warned that there was a 20minute wait for a burger, I asked if I can get the fries now, this was no problem, fries in hand I walked around the small market. MEAT - Perfect in every way. Big, juicy, bursting with flavour and cooked with a great firm texture on the surface and pink and soft in the middle. The patty is flattened on the grill, heavily seasoned and given a good dollop of mustard. BUN - A great bun. 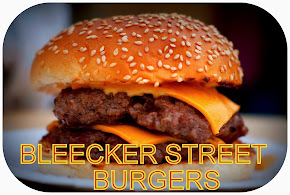 Perfect size, great texture, soft to touch yet firm enough to enable you a solid grip on the burger and manages to deal with the following juices with ease. TOPPINGS - Oh no, bacon fail. It was too soft and didn't last 2 bites before it exited the burger. The American cheese was everything that is good about this cheese, thick & gooey. Big crisp pickles & shredded lettuce were spot on as well. Shame about the bacon. SIDES – Skin on fries (£2.50) covered in ketchup, mustard and salt they brought back memories of being a kid at the seaside, a real mixture of crisp, fluffy and soft fries. The salt, after a while became too much for me however they are still the best fries I have tasted. A great burger and fries to be had here in a quirky small market place. Definitely one of the best London burgers I have had and if I was reviewing a cheeseburger here it would have been top marks, but with the bacon being poor unfortunately it missed out. 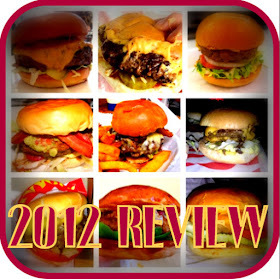 I will be checking out their Slider Bar in a week or two. Thanks to everyone's continued comments and support on here and on twitter, really appreciate it. Thanks for sharing, I like your blog. I am waiting for your new post. Look very delicious! I like it! The instructions in your post very useful with me! Thanks your post! Look very delicious! I like it!